As a certified TPO roofing company, Tarrant County Roofing can provide you with TPO repair, replace TPO roof systems, or use TPO to replace rubber roof systems previously installed. TPO roofing (a type of rubber roofing) is a single ply roofing membrane engineered to provide you with a durable and long lasting roofing system. Manufacturer’s warranties on these systems range from 10 to 30 years. TPO is the fastest growing low slope roofing product on the market today because its: reliable, cost effective, easy to maintain, environmentally friendly, and easily conforms to numerous roofing situations. 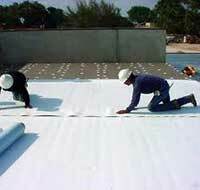 TPO roofing systems are also more resistant to tears, impacts, and punctures than other single ply membranes. It also contains fire retardants and is available in several colors. TPO roof systems are made up of three layers. They consist of a TPO polymer base, a strong polyester-reinforced fabric in the middle, and a durable thermoplastic polyolefin compounded on top. TPO roofing is commonly used when you want to replace flat roof systems or for low slope roofs. 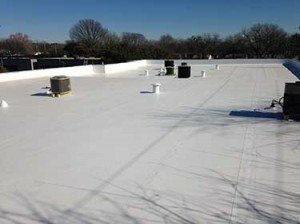 Because white TPO roofs (the most popular) are highly reflective are considered “cool roofs” and therefore carry the coveted ENERGY STAR® Rating. 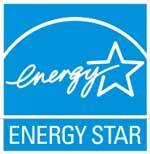 In addition to being energy efficient, TPO roofs are environmentally friendly, recyclable products. When your TPO roofing contractor installs your new rubber roof it will be either fully adhered, mechanically fastened, or loose laid/ballasted. The fully adhered TPO rubber roof replacement application uses a solvent of water based adhesive to adhere the rubber to the substrate. A mechanically fastened TPO rubber roof attaches the membrane to the deck using mechanical fasteners along each loose edge of the material. The loose laid/ballasted method fastens the perimeter of the membrane. The roof is then covered with gravel to secure the loose laid sections into place. TPO stands for Thermoplastic Polyolefin. It’s a synthetic rubber compound. Unlike other rubber compounds used in the roofing industry, it possesses the ability to be fused together like a plastic PVC membrane over its life. Most other (EPDM) rubber membranes are seamed together using either 2 sided tape systems or an adhesive. Commercial TPO installations are the most common. Does every roofer provide TPO roofing services? Because TPO roofing service is performed differently than traditional residential roofing, it’s best to work with a certified TPO roofer who has experience with TPO repairs and the installation of a new TPO roof. Failure to use a TPO certified installer could void your roofing warranty. Tarrant County Roofing is an experienced and certified TPO roofer, offering TPO roofing services throughout the DFW Metroplex. What are the advantages of a fused seam over tape systems? Hot air welded seams have proven to be the most reliable seam in the market today. Fused seams are 6 times stronger than glued seams and three times stronger than tape systems. Once fused together, the TPO lap forms a monolithic homogeneous rubber roof system over the entire field of the roof. Seams are impossible to deteriorate. And in roof systems where seams are always the weakest link in the system, it’s reassuring to know that the laps are its strongest component. What are other advantages of the TPO systems? While TPO can be manufactured in colors, the most obvious choice for the TPO membrane is white. It offers a reflective quality rarely found in roof systems, reflecting close to 87% of the sun’s damaging UV rays OFF the roof. The roof membrane stays close to ambient air temperature, which means heat is NOT absorbed in the roof membrane and transmitted into the interior of the building. If your facility is air conditioned, it lightens the load put on air conditioning units and reduces air conditioning costs. The TPO membrane is also reinforced with a polyester scrim reinforcement, which offers greater puncture and tear resistance than conventional black membranes. What type of systems are available with TPO membranes? TPO can be installed in mechanically attached, fully adhered, and ballasted type applications. The most prevalent is the mechanically attached roof system. Can TPO be installed over an existing roof system? TPO is not the cure all for all roof problems. Good roofing practices still apply when considering even a tough TPO membrane. Any wet insulation in the existing roof system should be removed prior to ANY new roof system installed, including TPO. But once all the existing insulation and decking has been inspected and approved, a TPO system can be installed after an insulation board has been applied over an existing built up roof system or other single ply membrane.